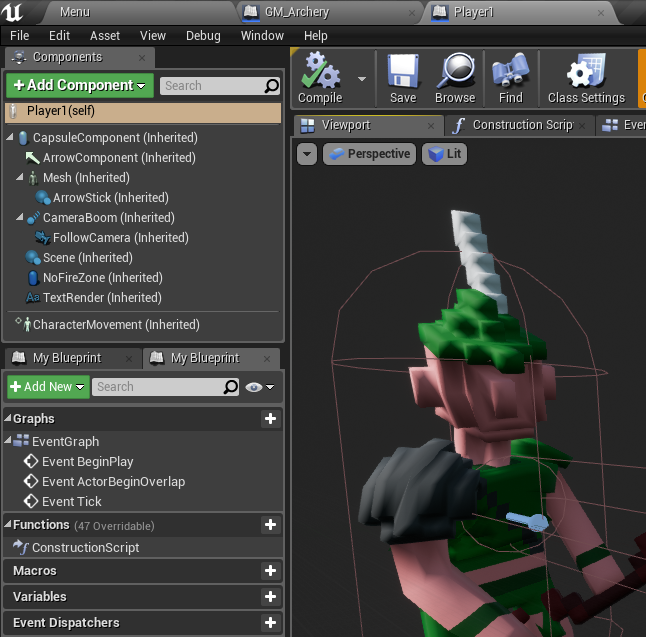 So... the issue: In singeplayer the game works perfectly fine, however in multiplayer with levelstreaming, the player character break(spesifically their mesh and collision box). Seems fine enough to me. 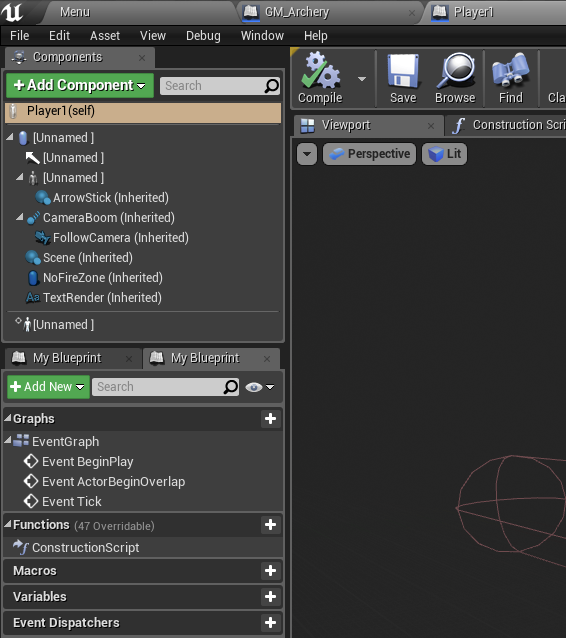 The Player1 blueprints collision and mesh component (and the arrow but it's not so important) have been altered and rendered broken, this can be fixed with a quick recompile of the blueprint. But why is this getting changed in the first place? I am assuming if i can understand this, i can understand the problem as a whole. Strangely enough it only breaks during multiplayer gameplay. (for everone, listen server and all) and yes the same spawn blueprint chunk runs for both, it's set up to detect if the game is singleplayer/multiplayer and act accordingly. This issue has been plaguing me for about two weeks now, and me and my work partner are becoming very frustrated from the lack of progress due to this issue and how much time we have spent just trying to get our game to a testable stage. somewhat proof that this is the issue: when we first identified the spawning as the issue, we changed the object being spawned, recompiled the GM and the player 1, and then reset it all back to player1, and it worked! perfectly in multiplayer, however when i tried to do the same for the other 3 player characters, it all broke again. Any comments at all would be super appreciated, if you need any more info just say, i'm feeling pretty defeated right now. Thanks in advance. How to change Mesh accodring the environemnt?